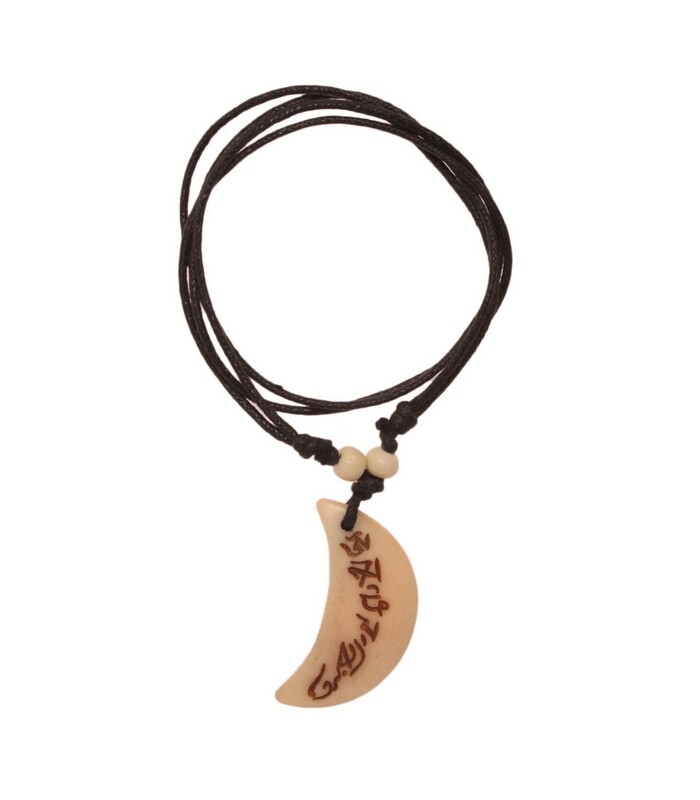 Hand crafted crescent moon locket. 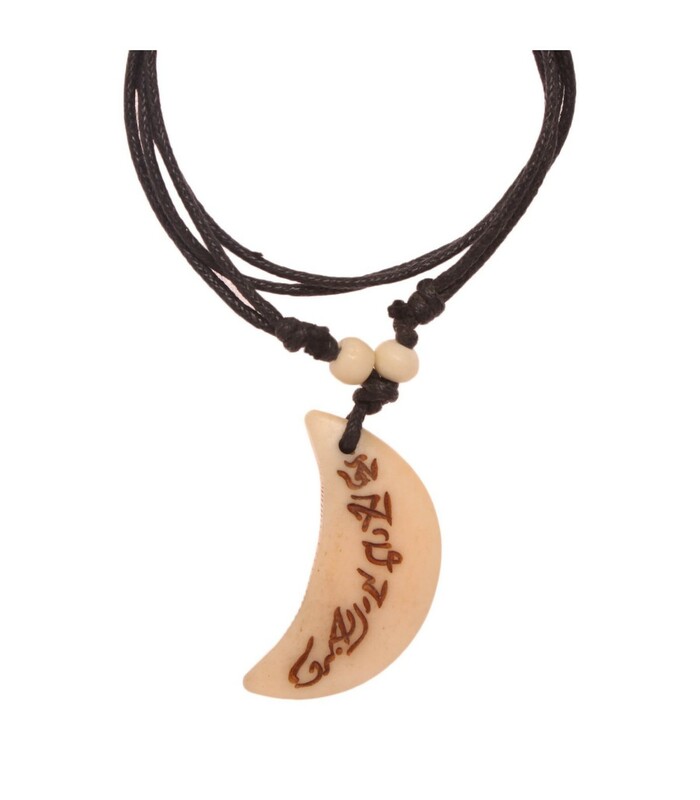 It is made from buffalo bone; Tibetan mantra is crafted on top. It measures 1.6 inches in length. The black cord can be adjusted as per ones preference.